Lynn David Cole has been into digital photography since 2004. He was inspired by a close friend who encouraged him to start shooting birds and made many trips to Brazos Bend State park and the Gulf Coast of Texas. Lynn does his own printing and creates archival pigment ink photographic prints on archival canvas which are mounted on a rigid backing and coated with an archival polymer coating for extreme longevity and fade resistance. 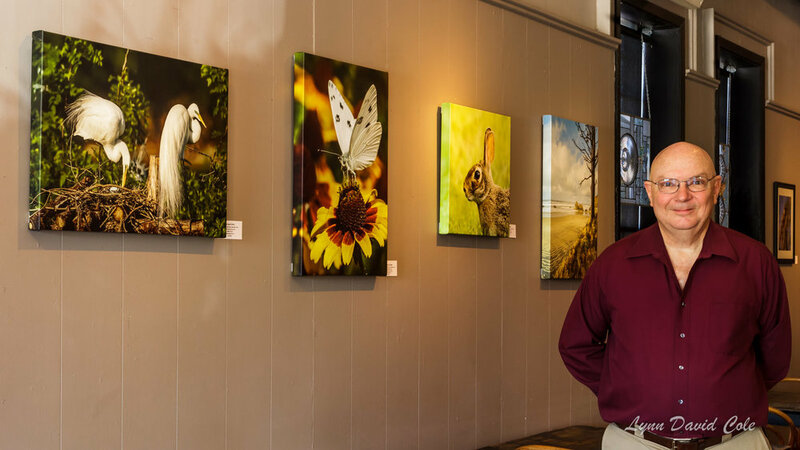 Lynn’s passion for capturing the natural beauty of wild birds and animals led him to start showing his work in galleries and art shows on the road. His first print showing was at The Village Cafe in Bryan, Texas where he presented about 40 framed prints and hosted multiple receptions. In the future Lynn plans to capture more natural landscapes and seascapes in the western states and the Pacific coast.